Welcome to my page! Here you will learn all about the fascinating organism known as Manis temmincki, the pangolin. What, you might be wondering, is a pangolin? 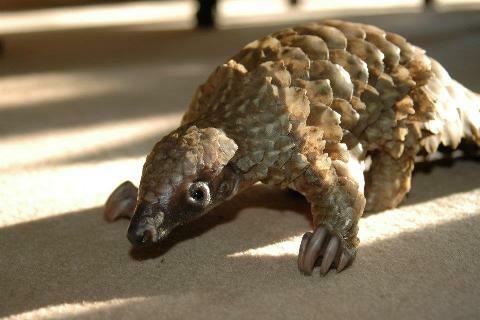 A pangolin is a small terrestrial mammal with a long tail and is found in various parts of Central and South Africa. Remarkably, the entire animal, with the exception of the throat, belly, and undersides of its limbs is covered in hard, keratinous scales which help protect the animal. The areas without have scales have a protective layer of hard skin and thin hairs. 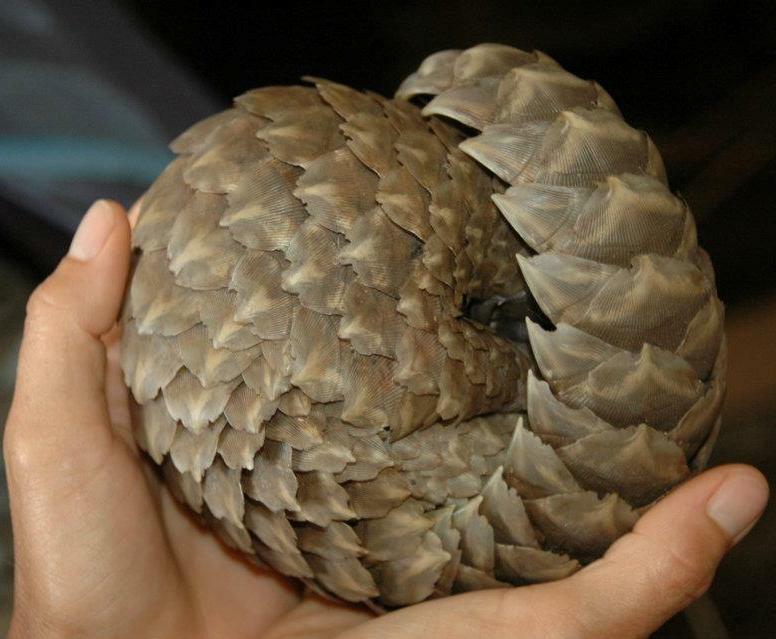 When in danger, the pangolin can roll into a tight, almost impenetrable, ball with only their scales exposed. To learn more about this interesting defense mechanism and other survival adaptations, check out my adaptations page. Although their tough appearance might make you think that these animals are ferocious predators, they actually are very gentle animals and do not even have any teeth, instead using their tongue to pick up insects. Their feeding practices and diet are explained in more detail in the diet page. Unfortunately, the number of pangolins in the wild is continuously decreasing. The main predator of pangolins is humans, as their meat is considered a delicacy in many Asian countries and the scales are used in expensive clothing and handbags. Additionally, folklore suggests that these scales have some medicinal healing qualities. 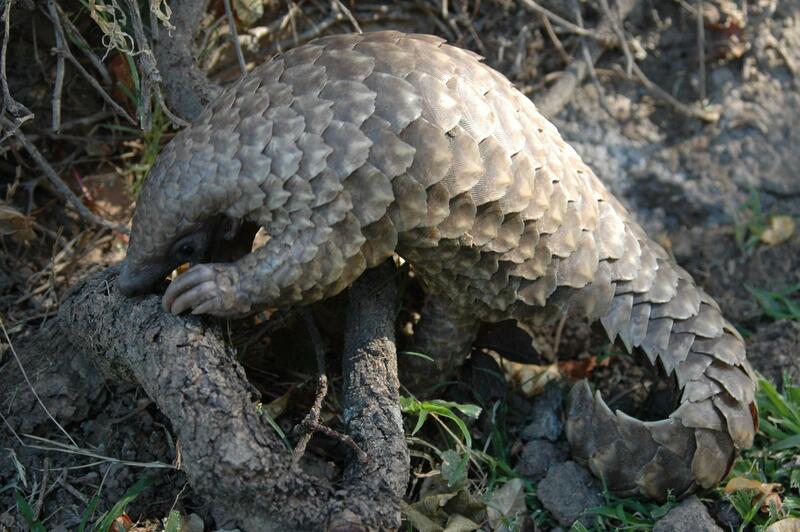 All of these factors result in poaching and illegal trade of pangolins despite the fact that the species is protected. To find out more about conservation attempts, the current status of pangolins in Africa, and how you can help save pangolins, visit the conservation section. Click here to start off this journey into the life of a pangolin and look at its classification! Head over to MultipleOrganisms.net to check out many other interesting organisms!